Nest Labs was a pioneer in the Internet of Things era. Co-founded by Tony Fadell of Apple fame in 2010, the company was an early leader in the connected smart home movement. Its products were attractive, functional and practical albeit somewhat pricey. Nest’s early success was enough to attract the attention of Google who purchased the start-up for $3.2 billion in cash in early 2014. Things have slowed a bit since the acquisition (Fadell left in mid-2016) which could force Google parent company Alphabet to restructure a bit. Sources familiar with the matter tell The Wall Street Journal that Google is considering folding the home automation company into its hardware team. The move would reverse part of a split that occurred a few years back when Alphabet was introduced. More importantly, bringing Nest closer to Google would allow the search giant to more tightly integrate its services into Nest products and better compete with Amazon in the red-hot home-device market. Nest up until just a few months ago had been relatively quiet. In September, however, the company unveiled several new products including a video doorbell, an outdoor security camera and an alarm system. 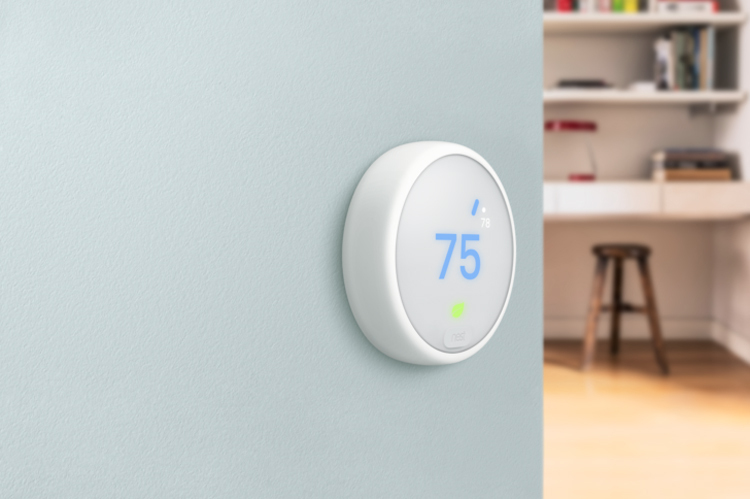 At the end of August, the company took the wraps off a new thermostat featuring a modern design and a simplified user interface. The device was also $80 cheaper than its bigger brother. Amazon, meanwhile, is coming off a spectacular holiday shopping weekend. Cyber Monday was Amazon’s single biggest shopping day in history. The top-selling item that day? You guessed it, the Alexa-powered Echo Dot.